Mdina is the old capital of Malta. Located in the centre of the island of Malta, this typical medieval town is also known as “The Silent City”, specially because of its relaxed nights. A visit to Mdina is like entering a time machine that will take you back centuries. You’ll have great fun exploring the cobbled narrow streets, the churches monasteries and palaces. Go for a walk around the defensive walls of Mdina, a whole city open air museum and one of Europe’s finest examples of an ancient walled city. Located in the the western central part of Malta, Mdina was built on top of a high plateau from where you have an amazing view of the surrounding fields, villages and even the Mediterranean Sea. Mdina and Rabat were once inside the same defensive walls but got separated by the Arabs. Rabat actually means “suburbs”, which is the role of this now more modern city also rich in history and where you should go for a quiet walk in its museums, gardens and churches. If you decide to rent a car in Malta (the best way to know the whole country), you just have to follow the road signes to Triq Mdina (Mdina Road). If you prefer to use public transportation, take buses 80 or 81 from Valletta to Mdina. 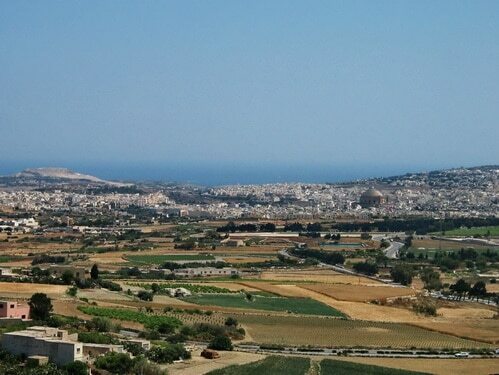 Historians believe that the region around Mdina was first inhabited by the Phoenicians around 7000 BC. This people started to build the city wall to fortify the once called city of Maleth, so important for its strategic importance, located on a rocky hill one of Malta’s highest grounds and as far from the sea as you can be in the island. Centuries later, during the Roman rule of Malta, they continued developing Mdina (Melita, for them) and its walls to protect the recently built Roman Governor’s palace. But it was only during the occupation of the Normans, after 1091 AD that Mdina acquired the shape you can see still today. During medieval times, they constructed the thick surrounding fortifications and the wide moat. Most of the architecture of Mdina is also from those times, in which Mdina was known as Melita. During the Arab occupation, after 870 AD, the protection wall was fortified and drawn back a bit (to where it is today) separating Mdina from its neighbour town Rabat. Although the Arabs were defeated and thrown out in 1250, the name Mdina has survived since then, given after the Arab word for city, Medina. Mdina started to decay in the beginning of the 16th century, when Valletta became the new capital of Malta, after an amazing project from The Order of the Knights of St John. But the Maltese nobility, descendant of the Norman, Sicilian and Spanish overlords, continued to live in Mdina. Still today, the city is sometimes called Citta’ Vecchia (the old city) and Cita’ Notabile (the noble city). In 1693, a big earthquake destroyed part of Mdina but the Knights of St John rebuilt the cathedral and constructed some new building in Baroque style, like Palazzo Falzon and the Magisterial Palace. Even though Mdina is still fully inhabited, what surprises most visitors is the silence inside its walls, specially at night. Cars aren’t usually allowed to get in, so you can walk around at your own pace and explore some of the best Norman and Baroque architecture of Malta. While you visit the palaces, private homes, churches and squares in the streets and alleys, you can also find several souvenir shops in central Mdina and try some of the high quality restaurants like Bacchus, Ciappetti, De Mondion, Medina restaurant or Trattoria AD. The Mdina Cathedral – St Paul’s Cathedral was built in the 11th century and rebuilt in Baroque style in 1693 after suffering damage by an earthquake. You will find it easily following the streets of Mdina with the magnificent dome towers in sight until the central piazza. Inside there are gilded carvings, the beautiful chapels of the Blessed Sacrament, sculptures and paintings that represent the life of St Paul. Palazzo Falzon – Also known as Norman house, this is a medieval building constructed in 1495 in Villegaignon Street. In this aristocratic mansion you will be able to see how the Maltese nobility lived and admire a fine collection of art, ceramics, paintings, lithographs, weaponry and other antiques. Cathedral Museum – In this museum in Archbishop Square, you will see the treasures saved from the earthquake that partly destroyed the first Mdina cathedral: paintings, prints, woodcuts and drawings by the old masters. It also houses a coin collection with some 2,000-year-old items. Palazzo Vilhena – Head to St Publius Square and enter the incredibly sculpted door of the palace to find the Museum of Natural History of Malta, displaying local fossils and wildlife. Beneath the Vilhena Palace, in the dungeons, you will see original torture instruments used in Malta from the Middle Ages until 1813. The Bastion – From the top of the walls, don’t you dare miss the panoramic view of the island of Malta. The Mdina Experience – In Mesquita Square there is an audio visual show that tells the story of Malta’s former capital since its foundation. Ideally you should watch the presentation before visiting Mdina, so that you will completely understand the places you visit after. There are two shows a day, Monday to Friday, at 10.30am and 4pm. Adults pay around 4 euros and children pay half price. 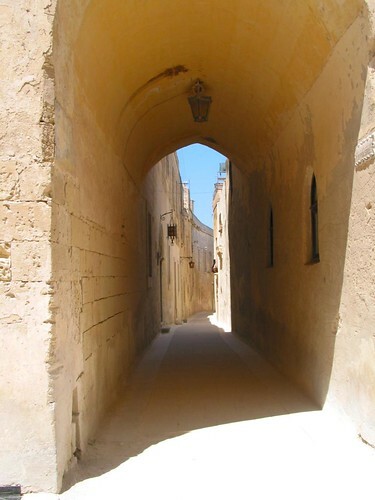 A great way to know all about the citadel is the self-guided tour of Discover Mdina. All you need to do is get a hand-held audio phone (and map) from the Vilhena Palace that takes you through 18 stops around Mdina following the voice of Baron Phillippe Caxaro d’Antonio Murina della Verga, perhaps one of the oldest members of noble families in Mdina. Audio tours are available everyday from 9am to 4pm. Price: Adults/Children/Students: 8 Euros; Senior citizens: 6 Euros. Rabat, originally the suburb of Mdina, is now a lot bigger than the old citadel. This site is generally recognised as the birthplace of Maltese Christianity. According to tradition, it was in the area of Rabat that the Apostle Paul lived after being shipwrecked on the island of Malta, in 60 AD. Many religious orders have since then established themselves in Rabat, like the Franciscans, Dominicans and Augustinians. So, Rabat’s heritage is all about Roman ruins and early Christian catacombs. Rabat started out as an agricultural town but today it is a modern nice place in Malta for you to discover. Most of its buildings are traditional ones and there are many shops and bars for you to enter while you visit the monuments. St Paul’s Church and St Paul’s Grotto – The church was constructed in the 16th century, over the grotto where it is believed that St Paul lived and prayed during his stay in Malta. Legend says it that the stone scraped from the walls has healing powers and no matter how much is taken, the size of the cave will remain unchanged. But maybe it’s not a good idea to check out the legend… St Paul’s Grotto is only a small portion of the enormous catacombs complex under Rabat, built over the centuries after Jews from Palestine took the concepts of burial in an underground chamber to Malta. St Paul’s Church is just over the grotto. Roman Villa (Museum of Roman Antiquities or Museum Esplenada) – Featuring many Roman remains of ceramics, glass objects, tombstones and busts, the Villa’s main attraction is the well-preserved mosaic floor. It is located on the road near the entrance to Mdina. Buskett Gardens – This is one of only two wooded areas in Malta. The public park is a very nice place where Maltese festivals are held during the summer. Verdala Palace – Near the Busket Gardens, the Verdala Palace (1586) was built for the Grand Master but is now the summer residence of the President of Malta. 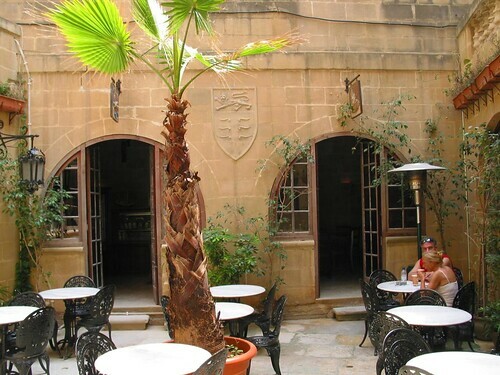 Its 16th century architecture is splendid, as well as its gardens which show a great contrast between the treeless lands of Malta and the olive, fir and citrus trees planted here. Dingli Cliffs – West of the city of Rabat, this is Malta’s highest point. Like most other coastal cities and beaches in Malta, this area is great for walking. The magnificent views from the top (830 feet, 253m) include the islet of Filfla.